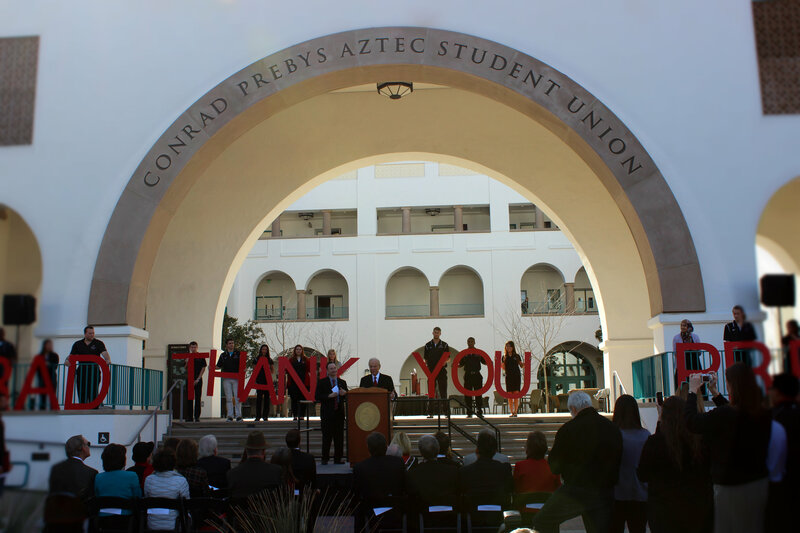 We are beyond gracious and thankful for Mr. Prebys’ incredibly generous gift to this amazing SDSU campus. From all of us here at the Conrad Prebys Aztec Student Union, thank you! This entry was posted in Construction, University. Bookmark the permalink.